Hello! Well I had so much fun decorating a cello bag the other day, that I decided to try a paper bag today:) I've been seeing so many cool spider web die cuts lately which inspired me to check out the Silhouette Online Store to see if they had any fun files! I found this awesome Corner Spider Web by Lori Whitlock~love her stuff! which went perfectly with this ADORABLE spider (I can't believe I just said that!) from the Your Next Stamp set Spooky Hello. The sentiment comes from the YNS Trick or Treat set. Make sure you check out the Your Next Stamp Blog every Friday to see lots of amazing Fun Friday projects from the DT! 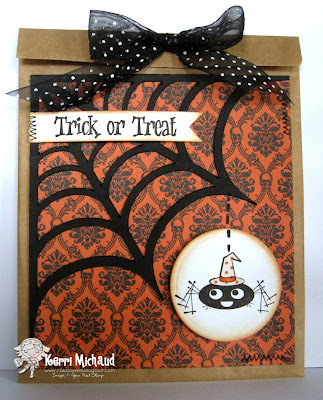 Such a cute treat bag and love that web! 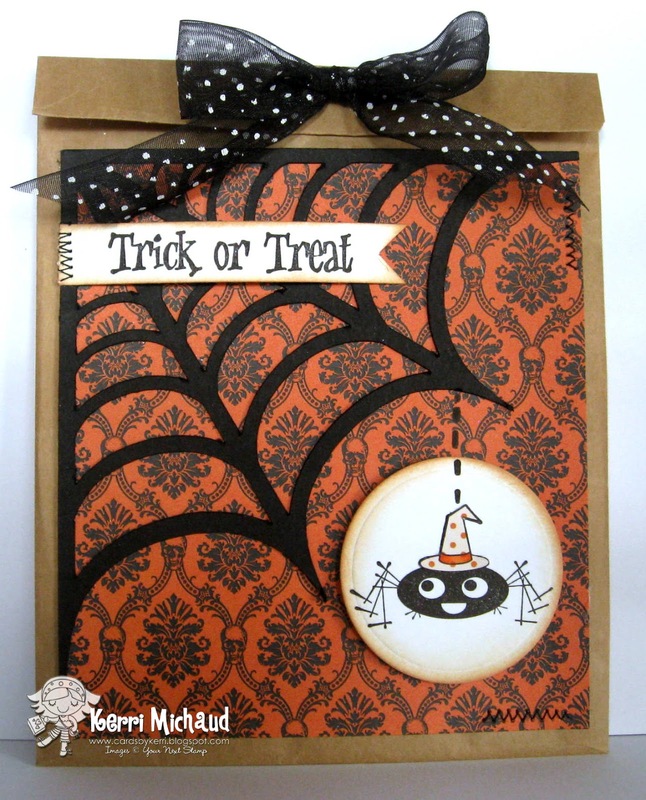 This is sooo cute, Kerri...such a fun treat bag for any little goblin!!!! !